★You feel bored with the simple screen incoming call / call screen. Want to change, you want to be unique and different in each call, Video Ringtones will help you replace your simple call screen. It will change the look and feel of your incoming call. Each time a call comes in, you'll see your favorite video coming out. 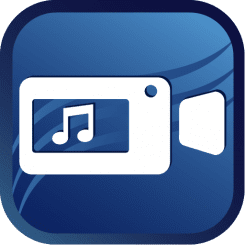 ★Note: We only provide you with a default video template, so choose your video or download from the internet to enjoy the app. - Also you can choose / cut your favorite video to play live when incoming call. - You can completely choose the direction (full screen / not) for displaying your video. - You can choose a background image for your incoming call (note: the wallpaper is only visible when you select not full screen). - HD quality of the video. - It's free, that's why we serve ads. - You can adjust the ringtone and audio video from within the app itself. You can keep both sound or mute any.